I hate debt. It is my #1 pet-peeve. Debt destroys happiness, ruins relationships, and breaks down families. In this post, I want to share with you how you can get rid of your student loans. Many of the tips listed below I have tried and I am sharing because they have helped me say goodbye to my student loans. Click here to read my personal story about how I repaid my student loans. Always try to pay on time. Of course this is ideal, but a good payment history helps your credit score and will follow you for years to come. Set aside a little more than the amount required and pay the bill by the due date, if you can. For example, if you receive a tax return send in a lump sum to help repay your student loans and if you are in good standing the lump sum payment can delay the billing of future payments, although your bill may not be due try to put what you can towards it in the meantime. The more you pay the less interest you will accrue and the quicker you will pay it off. Let the loan provider know your intentions of paying them back. Frankly, they just want their money, but if you have circumstances that hinder you from being able to pay such as unemployment, low wages, part-time employment, health concerns contact your student loan provider and let them know. They can help you put your loan in deferment which will no longer accrue interest or in forbearance which will continue to accrue interest but you will no longer be required to pay monthly. As a result your credit score will be less affected and look better because you will not have any missed payment sections regarding your student loans. AmeriCorps programs, give you a chance to volunteer, gain work history, and receive some money towards student loans. 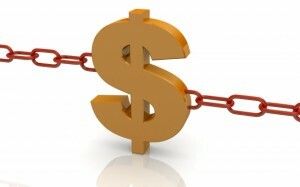 Their programs don’t pay a lot, but do offer you a chance to live free or nearly free with most of your expenses paid. Teachers and childcare providers can gain student loan forgiveness through the Department of Education. If you are a healthcare worker/mental health care worker (specifically: primary care physicians (MD or DO), family nurse practitioners, certified nurse midwives, physician assistants, dentists, dental hygienists, and certain mental health clinicians) the National Health Service Corps encourages workers to work in underserved communities for student loan repayment. If you are are a lawyer there are programs that will help you repay your student loans as well. Sometimes your particular Law School may have a program of their own, especially if you are interested in public interest law. Here is the Equal Justice Works site that you may want to visit to find out many options available to you. I also found a site that provides a comprehensive list of loan repayment programs. Some jobs offer specialized in-house programs. Look into what your job offers by contacting your Human Resource Department. You may be aware of your jobs tuition-reimbursement programs, but there are some jobs and organizations that have student loan assistance programs as well; in-fact, I have worked at two organizations that offered this benefit. Upromise is a modern day repayment option. By shopping online through Upromise.com you can earn money towards your loans or college expenses. Their site also offers coupons and discounts towards everyday purchases. Most of the loan repayment programs listed above require that you devout a certain number of years to a particular job, organization, or career. If that devotion scares you, try developing your own disciplined plan to pay back your loan monthly out of pocket. When I paid back all of my student loans I felt relieved of a heavy weight around my shoulders. This year in 2011 I encourage you to get your finances in order. Relieve yourself of debt and find peace of mind.